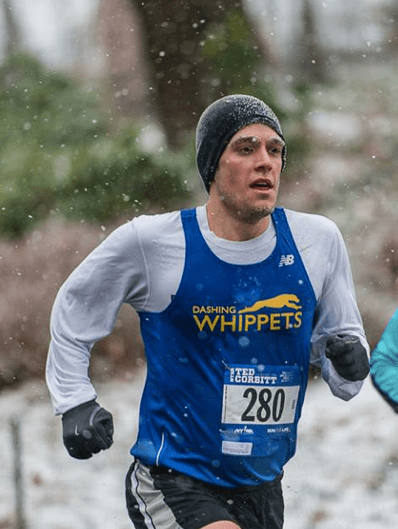 Chase Eldridge, from Douglasville, GA, comes from an athletic family (his dad was a 2:20 marathoner), is a recent graduate of Dartmouth College (dual degree in Government and Environmental Studies), where he ran for the track and cross-country teams. Currently working as a Compliance Associate at a hedge fund here in The City, he has completed 4 marathons, 3 half marathons, as has excelled at a number of distances. The Why: I am not a big “New Year’s Resolution” person as I think people should be making daily, weekly, monthly, etc… reassessments of their goals and current situations. That being said, two of my “…man, I should get better about this…” goals were to race more, and race for fun. 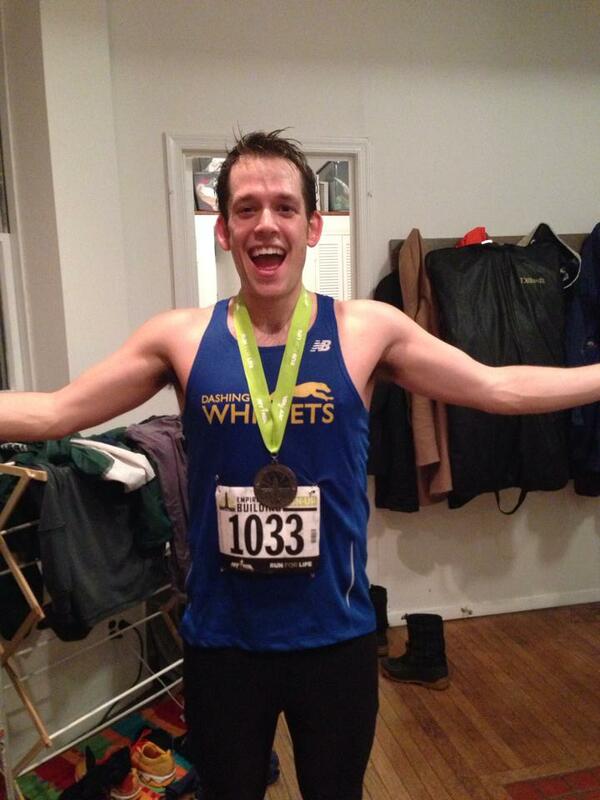 I realized I train too much to be racing 1-2 marathons a year with nothing shorter or fun thrown in. I wanted to get a better mix of quantity v. quality. With that in mind, I saw the NYRR email of 5 days to sign up for ESBRU, so I jumped at the opportunity. Was really pumped to find out I got in. Seemed like a perfect time of year for some fun racing to keep my mind off the fact that is was still winter, and my important races were 2+ months away. Another reason for jumping at the opportunity to race ESBRU was the “bucket-list” nature of the race for NYC runners. I don’t know how many more years I’ll make it through these East Coast Winters, so it seemed a fitting time to start knocking off some of these bucket-listers (still need the Marathon, the Magellan, Fifth Avenue mile; send me more!). 2) …it fulfilled my requirements in the “fun racing category:” doing a race less for PRs and more for the rocking chair memories 60 years from now (being higher than the Chrysler Building on my on two feet won’t be something I soon forget). The Awesome: Once I got there, I found out our lottery group was 50 randomly selected runners out of 1800! Finding that out was cool enough. Mary Wittenberg being the one to tell me while she was 5 feet away, even cooler. The Weird: Drinking coffee at 8:30 pm in order to warm-up when my coffee rule is none past 2 p.m. The Competitive: So I had decided to run this race “fun,” aka not wanting to die at the end. That being said, I still had 10+ weeks of 60 miles-per-week under my belt with some aggressive tempos and long runs so I was still looking for a sub-15 performance. The race starts in a time trial fashion with one runner starting every five seconds. The race directors say nothing about pace, or lining up; people just kind of filed into where they wanted to be. The front ended up being 4 guys with some nice stats and the fifth starter soon to be the first woman to the top. I planned to start fourth behind a stair running guru starting in first (I know he was a guru because he felt the need to tell all of us multiple times about his 24 hour stair climbing feats). His Napoleonic complex was somewhat hard to stomach as I know little about stair racing but for the fact that the pro race was only 2/3s filled, so why was this guy with us if he was sooo good? Number 2 was a trainer who had BQ’ed , Number 3 a 100-miler guy, and yours truly in 4. I got to know 2 and 3 very well at the start and throughout the race; very cool guys. They were there for the same reasons as me: a fun filled Wednesday night. Our aspy friend in front however felt the constant need to interrupt our conversation to ask if we really wanted to start behind him, and to point out that we were being sissies. I almost lost it when, to my response, “no I am doing this for fun,” he felt the need to let me know that he likes to race “balls-to-the-wall” and embrace the pain of the stairway cough. Needless to say it felt exceedingly excellent to pass that guy (after his 20 second head start) at stairway number 14. Rule Number One: Don’t tell a Whippet you like racing balls out over having fun. Because we have fun racing balls out. Enough said. The other really awesome competitive part was not getting the stairway lung like everyone else (the stairs were literally filled with thousands of death rattles from the hacking and coughing). I think I managed to avoid it due to our outdoor training in the winter months when most stick to their hamster wheels. Glad that managed to pay off somehow. The Aftermath: Looking at our skyline is even more fun now!